St. Gertrude the Great Easter, 2016 Newsletter is now available. 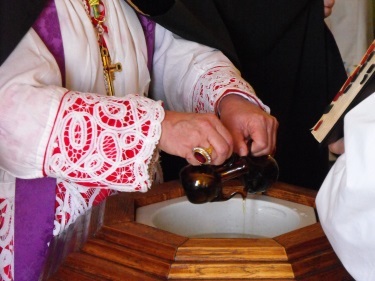 The oil of catechumens and the holy chrism are poured together into the water of the font in the form of a cross. This entry was posted on Monday, April 18th, 2016 at 10:15 pm	and is filed under News.